Police in Gbarnga, Bong County, have charged and forwarded to Court a 22- year-old man with multiple offenses in connection with the Friday, September 20, 2013 armed robbery attack that led to crack down on suspected criminals in Gbarnga. Jefferson Bee was charged Tuesday with armed robbery, aggravated assault and theft of property after police preliminary investigations linked him to armed robbery attack on motorcyclist Emmanuel Tokpah in the Plum Valley Community in Gbarnga. The commander of the Crime Services Division of the Bong County Police Detachment Inspector, Alvin James, told reporters during Police preliminary investigations that suspect Bee used steel rod and other instruments to rob Motorcyclist Emmanuel Togbah at 8pm. On Saturday morning, September 22, 2013, several motorcyclists stormed the police headquarters in Gbarnga demanding that suspect Bee be turned over to them to give reasons for attacking their colleague. The motorcyclists went on the rampage vandalizing several ghettoes in the city when they claimed the police refused to give in to their demand of surrendering the suspect. The motorcyclists who were in their numbers and carrying cutlasses, sticks and other harmful instruments also extended their vandalism to Sergeant Kollie Town or SKT which is noted for the sale of Marjuana and other harmful substances. Few hours later on Saturday, Mustapha Kanneh a resident of Gbarnga was discovered dead lying in a pool of blood with several bruises on parts of his body. Up to present, it is not clear as to who exactly killed Kanneh and Gbarnga police have not arrested anyone in connection with the killing despite speculations that it was some of the motorcyclists who carried out the killing. Another man believed to be a criminal, Layee Sesay, is currently admitted at the Phebe hospital in Suakoko in critical condition as the result of severe flogging meted out on him by some individuals who are yet to be identified. At the same time, the president of the Bong County branch of the Liberia Motorcycle, Union Sam B. Elliot, has denied the involvement of motorcyclists in the killing of Mustapha Kanneh. Mr. Elliott maintains that there is no evidence to link any member of the motorcycle Union to the killing and called on the police to investigate and make the findings public. Mr. Elliott who is also president of the Bong County branch of the Liberia Motorcycle Transport Union (LMTU) described the arrest and charging of Bee by the police as a significant step in Government’s strive to protect its citizens. Mr. Elliott said the mood will serve as a deterrent to criminal who have always attacked and killed motorcyclists in pursue of their motorcycles in Bong County. Our correspondent said, over five motorcyclists have been killed in Bong County and their bikes taking away by unscrupulous individuals. The first motorcyclist who was a victim of criminal attack in Bong County was Momo Zazay, the son of an officer of the Drug Enforcement Agency who was killed by former Anti Terrorist Unit Officer and trainer Roland Kwenah now serving a life sentence. Some residents of Gbarnga say the rampage by the motorcyclists is welcoming as criminals usually break into homes and attack citizens even in the day and take away their belongings. 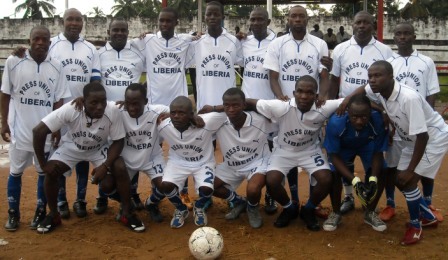 Some however say there is no justifiable reason for any act of lawlessness on the part of any Liberian. Since the death of Mustapha Kanneh there has not been any official comment from civil society organizations in the county, the local authority and members of the County Legislative Caucus.